In January, 2011, the US Food and Drug Administration announced that it had approved a new product called Natroba Topical Suspension to treat head lice in both children (4 years of age and older) and adults. The original FDA announcement is here. See Head Lice Biology and Control in School-Age Children for current treatment guidelines for parents and schools. The active ingredient in Natroba is spinosad a relatively new type of natural, organic insecticide that has been used in commercial agriculture and home gardens for several years. Spinosad is derived through a fermentation process using a specific microbe that was originally isolated from soil. See Using Spinosad in Home Gardens for more information. Natroba is currently available only by prescription. Over-the-counter medications containing permethrin and pyrethrum are still effective against the majority of louse populations but there is some evidence that insecticide resistance to these compounds is increasing. Where resistance to permethrin and/or pyrethrum is suspected spinosad-based treatments may be a viable alternative. No matter which pediculicide (louse medication/insecticide) is used however, proper combing with a fine-tined metal comb is still critically important (see Selection and Use of Lice Combs). Do I Need To Use Pesticides Inside My Home? I'm frequently contacted for pest control advice by people who routinely treat their homes, both indoors and outside, with pesticides in order to protect them from "bugs". Often the homeowners don't even know for sure what the target pest is, nor do they really care. These homeowners have been convinced that if they don't do these treatments, or hire a pest control company to do them at monthly or quarterly intervals, their homes will become infested and may even be significantly damaged. It's like changing the oil in your car every 3000 miles, hype that has been promulgated by so called "quick-lube" oil companies, either you pay now or you'll somehow have to "pay-the-piper" later! In fact, these routine pesticide treatments are rarely if ever needed, and indoor use of conventional pesticides, in single-family homes, is almost never justified. Frequent use of pesticides indoors may actually expose the occupants to unhealthy residues. All insect and related pests that occur in our homes (see 'Bugs News: Common Household Bugs for a list of common household pests and ways to safely deal with them) can nowadays be safely managed with some combination of sanitation, low-hazard traps and baits, and, in rare instances, new low-toxicity dust and plant-based insecticides. Plus, you don't need costly "maintenance contracts" from the local pest control company. Sanitation is usually the best and least expensive pest control strategy, and the one most often neglected. By eliminating food and water sources you'll prevent many of the most important household pests like ants and cockroaches. This is especially important in older houses and multi-family apartment buildings where leaky pipes and accumulated debris can be a problem. Traps and baits are the next most important pest control strategy for homeowners. Traps are very effective for indoor spiders (see Using Spider Traps) like the brown recluse spider. Traps can also be used to detect a small infestation before it gets too large to easily manage. Meal moth infestations can be detected early, or isolated to a particular room, using pheromone traps. Baits are now available for a wide variety of household pests including nuisance ants, carpenter ants, cockroaches, and termites. Baits work best for the pests that live in colonies because the toxic material is carried back to the colony by foraging "workers". See the pest-specific links above for details. With the introduction a few years ago of insecticides that are based on natural plant oils, sometimes called botanicals, indoor pest control with insecticides has become significantly less toxic. While I generally shy away from using any insecticides indoors, if you are going to use them the botanical insecticides are the less hazardous, better alternative. "Skin Mites"/ "Collembola Mites" - Are They Real? Do you experience any of the following symptoms on a daily and/or regular basis? A crawling sensation sometimes accompanied by feeling "pin prick-like bites". Itchy skin, especially at night. Red skin lesions that resemble flea or mosquito bites, while not able to capture an actual bug. A fear that you and your home/office/car are infested with an unseen bug. You repeatedly wash bedding and treat your home with insecticide in an attempt to rid yourself of this invisible infestation. If this sounds like you, first of all be assured that you are not alone - the symptoms are very real and widespread. I am asked about these so-called infestations at least several times a week through my bug consulting activities. The cause, however, is not what you may have been lead to believe. These symptoms are not caused by an insect or mite and no amount of insecticide, whether organic or not, will help you solve this problem. 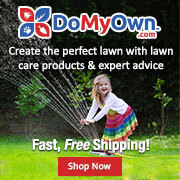 What are so called "skin mites" and "collembola mites"? The names skin mite and collembola mite are not scientific names for any real mite nor are they accepted common names for a real organism of any kind. They describe a set of symptoms (condition), not the name of an insect or mite. What exactly do these terms mean? By using the word "mite" both terms are very misleading in that they incorrectly imply that the symptoms are caused by a living organism (a mite). There is no evidence that a living organism is involved, in fact the lack of a clearly identifiable organism is a hallmark of this condition. My concern is that people will try to eliminate the "mite infestation" with insecticides/miticides which needlessly exposes themselves to potential toxins and distracts them from searching for the real cause of their discomfort. 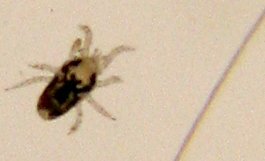 From a scientific standpoint the term "collembola mite" is particularly troublesome since collembola (springtails) are an entirely different type of arthropod, not related to mites at all (see Collembola/Springtails for a description). Collembola are harmless soil microarthropods that are abundant in rich, organic soils. Mites are a well-defined and very specific group of arthropods that are related to spiders and ticks, in fact ticks are a type of mite. So what causes the symptoms described above? Certain medical conditions mimic, and are easily mistaken for, bug bites. The skin lesions ("bites") can look similar and are often accompanied by itchiness and a crawling sensation. If you are predisposed by a fear of insects or perhaps a prior bad experience with an insect or mite, you may misinterpret these symptoms as "bug bites". Allergies are probably the most common cause. You can come into contact with allergens (the stuff your body reacts to) in a variety of ways. Airborne allergens like plant pollen and dust mite allergen are inhaled but you can also have direct contact with an allergen as occurs with certain poisonous plants (contact allergens). Food allergens are consumed along with the food we eat. Allergies can affect you in a variety of ways but skin lesions, hives and itchiness are frequent complaints. Chemical/physical irritants include things as simple as a new brand of laundry detergent, new furniture or carpets, fibreglass insulation, cleaning solvents, and so forth. The list is long and can include products that you would never suspect. In one recent example an individual had lesions that resembled bug bites (and was convinced he was infested) but it turned out that he had started using a new solvent to clean his guns about the same time that the "bites" first appeared. Reaction to drugs can include prescription medications, over-the-counter drugs and supplements, as well as illegal, recreational drugs. Emotional stress and anxiety are potent triggers for all sorts of physical manifestations. For example, I remember as a graduate student that the skin on my hands would start to literally slough off before major exams and seminars because of my long-term anxiety and stress over these events. Pre-existing illness, some of which are serious, can cause these reactions as well. Since the underlying illness may be serious in some cases, the sooner you get a proper diagnosis the better. So, my hope is that rather than spending your money on insecticides or expensive application equipment like foggers, talk with a medical professional about your symptoms. Discuss the possibility of allergic reactions but also consider the other possibilities. The term "white ants" generally refers to a group of insects that are more commonly called termites (Isoptera), more specifically subterranean termite workers. Worker termites are very pale and delicate, and superficially resemble delicate, white "ants" (see photo). However, termites and ants (order Hymenoptera) are not closely related at all and have very little in common. See the following pages about Termite Biology and Control for more information about these potentially destructive insects. Termites are fairly primitive insects that live in colonies. Unlike almost every other insects, termites feed on cellulose (wood fiber) with the help of special microbes in their gut. This ability to utilize wood as food makes termites a serious potential structural pest in our homes. While true ants also live in colonies, they are far more advanced than termites in terms of their developmental biology and behavior. Ants are mostly scavengers/predators (the large carpenter ants, which can also damage structural wood, do not feed on wood but only use it as building material). Because of the potential for costly damage, structures are often treated for termites during construction ("pre-construction treatment") or after construction when damage is detected ("post-construction treatment"). 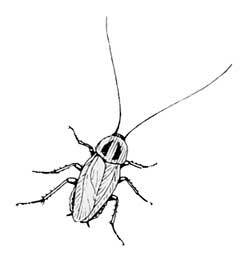 For more information about termites, termite control and termite baitings see our 'Bugs site.